Stagecoach is set to trial the UK’s first full-sized driverless bus. Yes. It’s happening. The autonomous vehicle revolution is here. Well actually, it’s kind of underway already, with trials of AVs happening all over the world as we speak (see the partnership between manufacturer Navya, la Métropole de Lyon and Sytral for one such example). 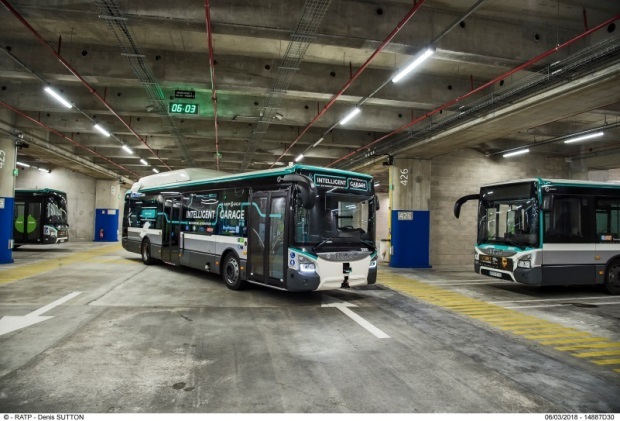 RATP in Paris is testing similar technology with a tricked-out full-size Iveco Urbanway hybrid in the Parisian suburb of Lagny, but this will be the first time the technology has been applied to a conventional full-size bus in the UK. 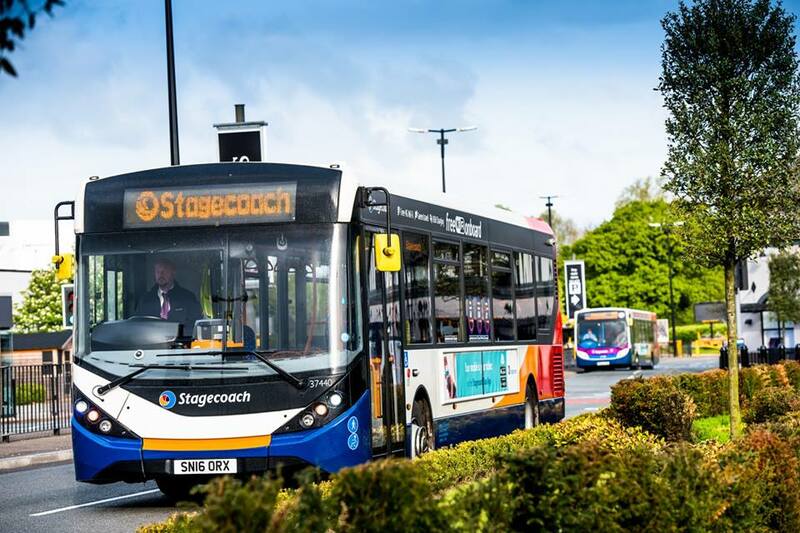 Stagecoach announced today (23 July 2018) that it’s partnered with bus manufacturer Alexander Dennis (ADL) and technology company Fusion Processing to produce a single deck autonomous bus. The 12 metre ADL Enviro200 vehicle will be completely autonomous and able to run without a driver. 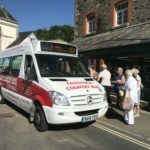 The bus won’t be used in AV mode on the roads initially, but the technology will also apparently deliver safety benefits when driven in ‘manual mode’. 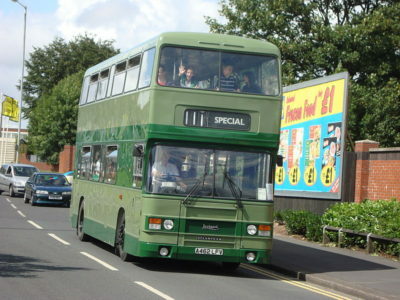 The end for the traditional bus driver? Erm…not for now, at least. 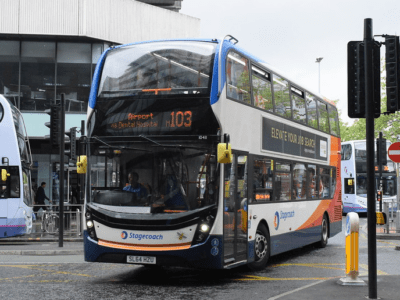 Stagecoach, as with the RATP trial, will initially be testing the technology within the relative safety of their depots. 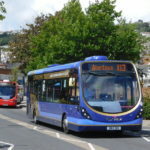 The bus will be used in autonomous mode only within the depot environment, to carry out movements such as parking and moving into the fuelling station and bus wash. Stagecoach say that using self-driving vehicles within depots more widely could help improve safety, efficiency and space utilisation within the depot. Legal restrictions mean the vehicle will not be used in autonomous mode in passenger service for some time. However, the system can be used straight away to help improve the safety of road users. 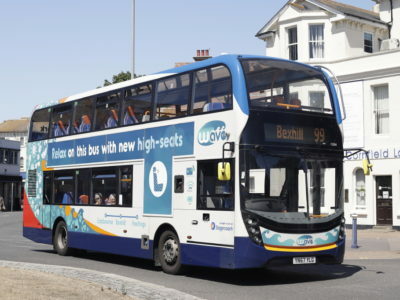 For example, when the bus is driven in manual mode, the sensor system on the bus can still be used to provide assistance to the driver by warning of cyclists or pedestrians that may be in the blind spot or arrive unexpectedly close to the vehicle. 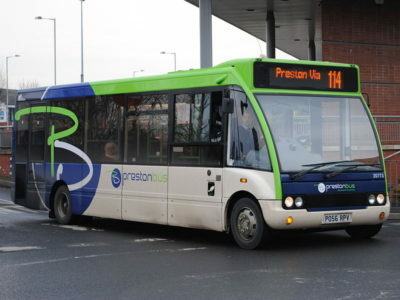 The Stagecoach bus will be fitted with the CAVstar® system provided by Fusion Processing. CAVstar® was utilised successfully in the UK’s largest public trial of autonomous vehicles to date, in Greenwich earlier this year, and a number of other projects. It uses multiple sensor types, including radar, laser, camera and ultrasound, along with satellite navigation to detect and avoid objects, in all weathers, day and night, to plan an optimum path for the vehicle. 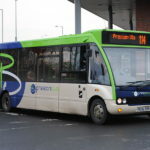 What do you think about the Stagecoach trial? Are you looking forward to seeing autonomous buses on our roads? Let us know in the comments below or tweet; @transportdsn. A driverless bus?? This is totally amazing.